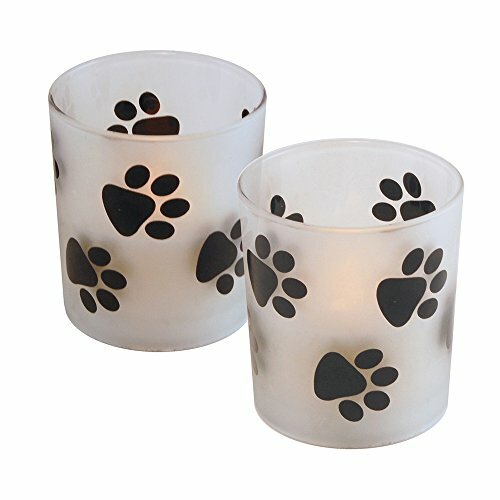 These adorable black paw prints on a white battery operated candle are perfect for the avid Dog lover. The glass holders with genuine Wax casts a flickering Amber glow that adds ambient lighting to your everyday home decor. Get the classic soft flickering glow of a candle without any drips, smoke or flames. The lights have a convenient 6 & 8 hour timer incorporated. Each candle uses 2 AAA batteries (not included). If you have any questions about this product by Lumabase, contact us by completing and submitting the form below. If you are looking for a specif part number, please include it with your message.